Anime director Makoto Shinkai ( your name. 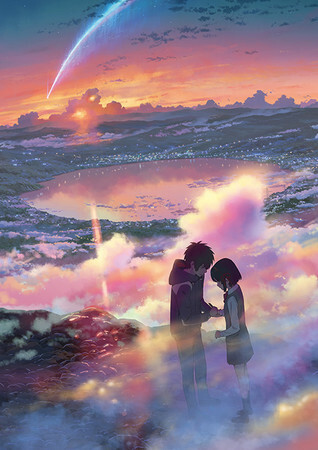 , 5 Centimeters Per Second , The Garden of Words ) visited South Korea on Wednesday. He appeared on a television news program on the SBS network on Thursday and held a press conference in Seoul on Saturday. During his visit, Shinkai explained the importance of South Korean studios to Japanese anime. A Korean woman has been one of the main staff members for my studio for ten years. Also, I would say that Japanese animation itself cannot be detached from Korean animation studios. 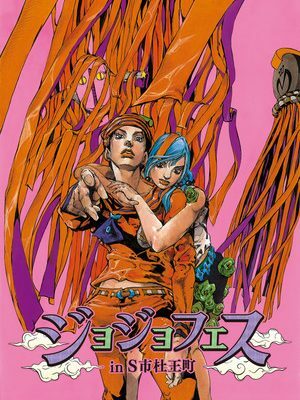 If there are no Korean studios, making one animation is difficult. Korea bears a big part [of Japan’s anime] on its shoulders. Although South Korean staff members are common for Japanese anime, they often receive little recognition within Japan. Animated works produced entirely by South Korean companies also typically fail to earn widespread popularity in Japan. The Japanese newspaper Sankei Shimbun recently published a negative review of the South Korean live-action Gunkanjima (Battleship Island) film and labeled it as “anti-Japanese.” The film, starring Song Joong-ki and So Ji-sub, is slated to open in July. The film focuses on South Korean conscripted civilians who were made to work in coal mines on Hashima Island, Nagasaki Prefecture from the 1930s until the end of World War II. We really live close, living as neighbor countries, and I think we share various values. As far as things that people in Korea think are delicious, things that they think are beautiful, there are similar beautiful things. Similarly, as far as films that we think are fun, I had confidence with this work that Korean people could enjoy [the film, too]. South Korea lifted its ban on Japanese films in 1998. Theatrical screenings of your name. have sold more than 3.5 million tickets in Korea. The film is now the highest-selling Japanese film in South Korea ever. Shinkai returned to South Korea because he had promised to revisit the country if the film beat Howl’s Moving Castle ‘s previous record of 3.01 million tickets. your name. premiered in South Korea on January 4 and sold 1.18 million tickets for the equivalent of US$8.1 million in its first five days. The film topped the South Korean box office, selling 837,556 tickets during its first weekend. The film remained at #1 at the South Korean box office in its second weekend. The film also ranked #1 on its opening day, selling 130,000 tickets to earn 100 million yen (about US$859,000). The last time a Japanese film topped the box office in South Korea was when Howl’s Moving Castle premiered in 2004. 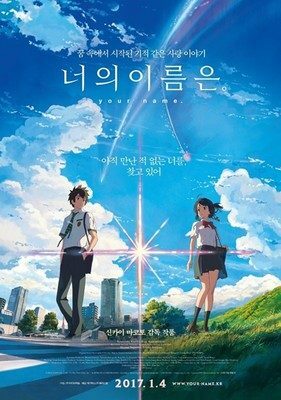 Shinkai’s film opened on 555 screens in South Korea, which is a new record for a Japanese film. Source: Yahoo! Japan News (Mukoeng Shin) via Yaraon! 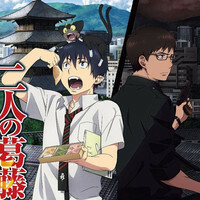 Ao no Exorcist: Kyoto Fujouou-hen Ep. 3 is now available in OS.